Yesterday I laid out the truth about my weight and health followed by a plan for getting my eating on the right side of correct. 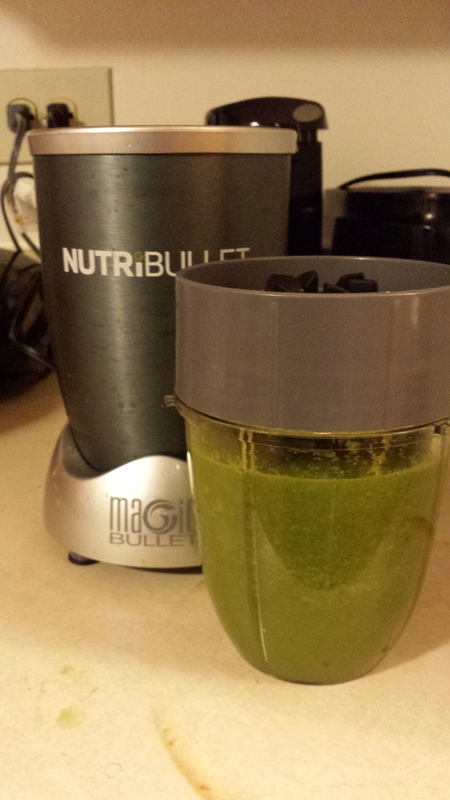 Today I am going to talk about my breakfast ….the green monster AKA the green death. I leave the honey out for now because I am trying to kick sugar. This entry was posted in Uncategorized and tagged breakfast, Diabetes, health journey, healthy-living, juicing. Bookmark the permalink. great job starting a healthy lifestyle! I’d only recommend to not kick the honey as honey has great health benefits and can actually be a good substitute for sugar and help cut down cravings. Just make sure to get raw, natural honey! I look forward to seeing what other delicious recipes you try! Thank you that is a good point about the honey …I always worry over what sugar I do put into my system because of my diabetes. I usually bounce between extremes of none at all or more than any one person should have. I have a few local sources for honey that I am going to try hopefully it will help me kick these cravings. It’s difficult with so much different information out there! I hear you with the extremes! One thing that helped me was to learn about the healthy foods. If I was eating broccoli, I would do a quick google search on broccoli to learn about the specific benefits (we all know broccoli is good for us, but WHY is it good for us). Then I would use a visualization-type of meditation as I ate or drank the broccoli; thinking about the benefits my blood and body was receiving from it. Hippie-ish, I know, but it helped! I would think about the same thing with bad foods: visualize the non-beneficial ingredients clogging arteries, etc. It helps to bring an awareness. I still enjoy snack foods but not nearly as much as when I didn’t think about the effects they were having on my body. Maybe that will help, maybe it won’t! Good luck continuing your journey!